We'll be celebrating Hanukkah in about a week. 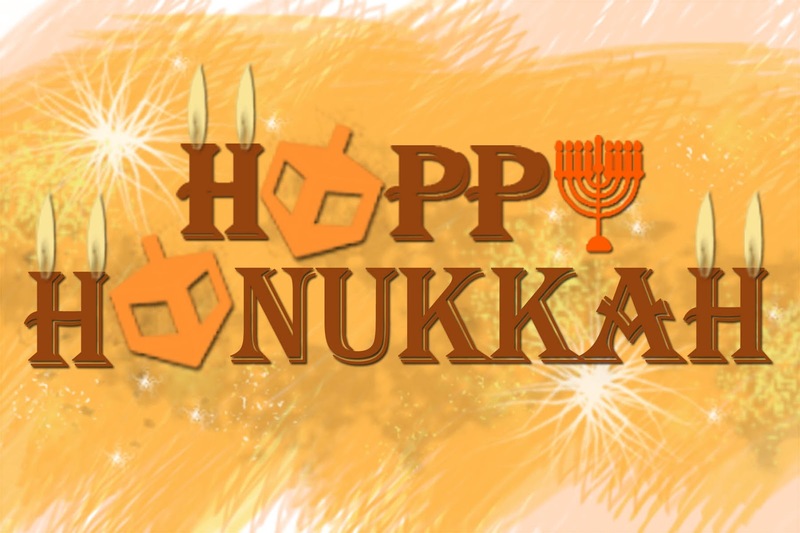 If you ask yourself what is Hanukkah anyway you can find some answers here and here. But today I want to share with you my Hanukkah revelation! After a few years in the craft industry I came to the revelation that although Hanukkah is a Jewish holiday it looks completely different here and in the rest of the world. I'm not referring to the customes or food I'm talking about the colors. Apparently this popular holiday has different signature colors here and there. 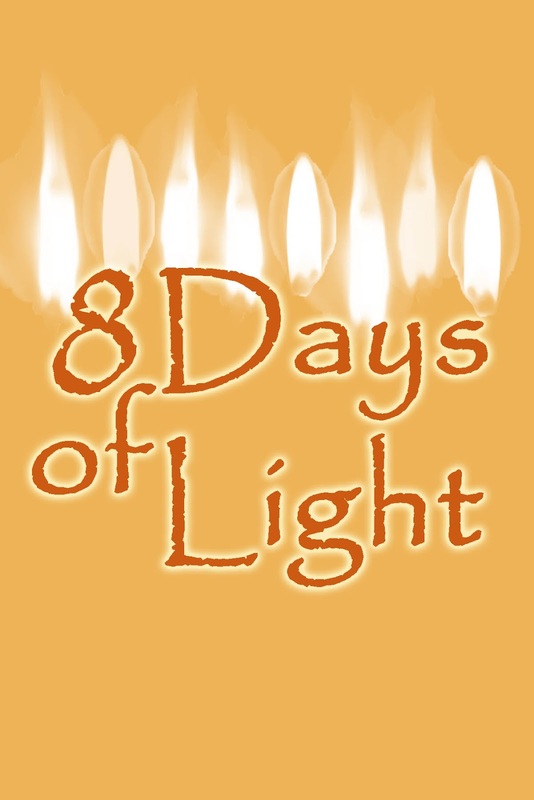 Here it's a festival of lights, we light a candle everyday so light is the main thing that is also featured in the colors. 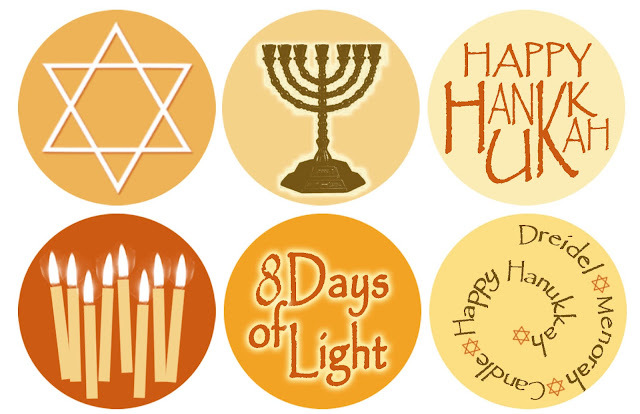 All the craft supplies, stickers and projects are in yellow, orange and warm colors that represent light and flames. Bright, festive colors that light up the cold winter nights of December. 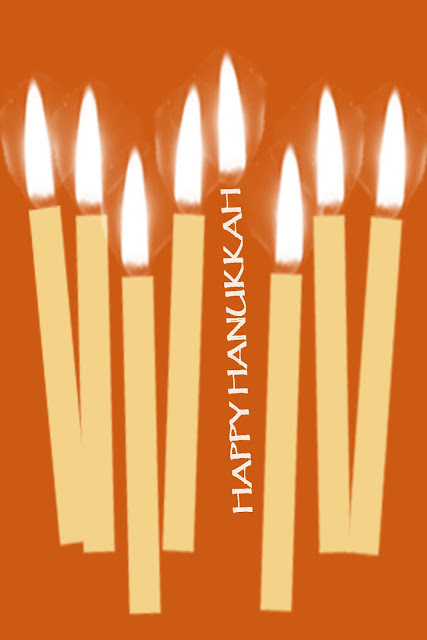 However in the rest of the world, especially North America Hanukkah's colors are blue and white. If you ask yourselves why, I can't be sure but my theory is that this is a Jewish holiday so its colors are blue and white because these are the colors of the Israeli flag. In my opinion this is kind of missing the point because blue and white are not exactly colors of light and warmth and don't represent the candles' flames or the holiday spirit. But who am I to argue... Just wanted to share this with you because I only recently realized it and I was amazed. 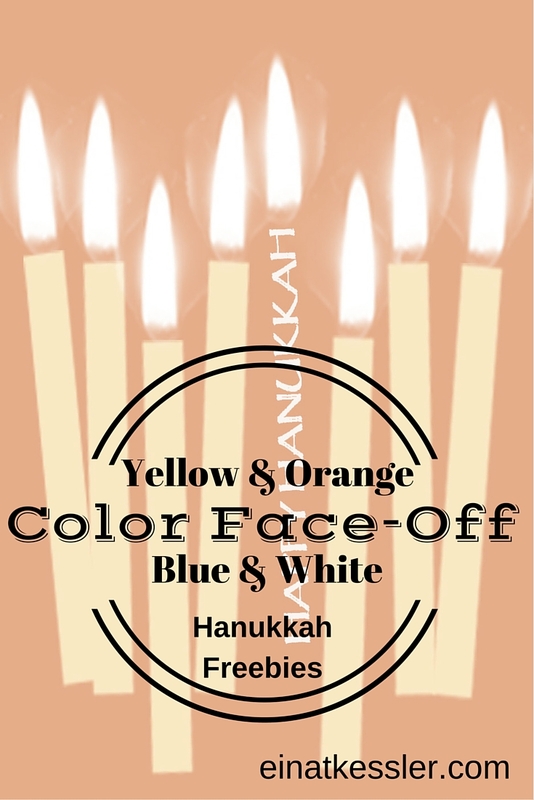 So here are a few yellow/orange Hanukkah printables you can use for cards, layouts, projects or decoration. I think they'll look much better with the lit candles :) You can copy paste to your computer and use it online. If you want to get this printables in print resolution let me know in the comments or email me. Maybe you think this is stupid but this just blows my mind... Tell me in the comments which color combo you prefer? I agree with you that the yellow and orange evoke the feelings of warmth and light much better than blue and white. תודה על הצ'ופרים. האמת היא שאף פעם לא חשבתי על עניין הצבעים, אבל את צודקת... חג שמח! Makes lots of sense to me! The printables are beautiful, thank you!